You are purchasing a wholesale lot of Brand New Girl Socks. The lot contains 25 Pieces. This lot includes a mixture of Single pairs, packages of 3,5,6, Pairs of 2 & more. The items in this lot are brand new, mostly all still with retail packaging/tags. 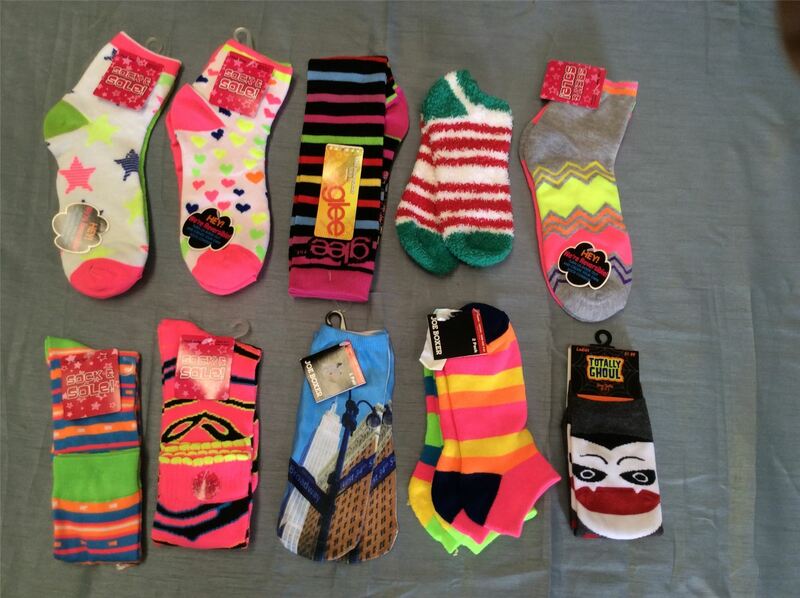 Click the button below to add the Wholesale Lot Assorted Girl Socks,Approx. 25 Pcs,Brand New, Mixed Sizes & Colors to your wish list.